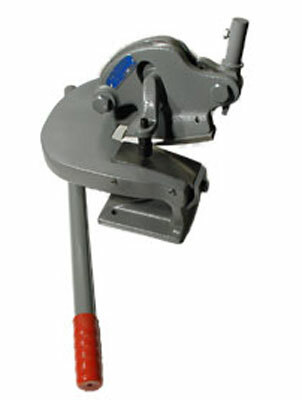 This tool is a mandatory item for any professional or serious home shop where sheetmetal is formed. This shear doubles as a flatbar (or plate) shear up to 3/16" mild steel, yet allows you to cut slivers from the edge of a meterial that is 0.030". The product is made very well, and is easy to adjust the blade gap for shearing all metal thickness within the design range. As you feed the metal into the shear you can rotate the material left and right to produce smooth curved cuts, or straight ahead for straight cuts. You will be amazed how easy it is to use, and how well it cuts copper, aluminum, mild steel and many other materials. As an artist I depend on tools like the Beverly Throatless Shear to perform many shearing tasks, and to speed up the duplication of small portions of my metal sculptures. IMHO this shear is worth every penny of the substantial cost, will function in your shop throughout your lifetime, and you will be able to pass it down to your kids.